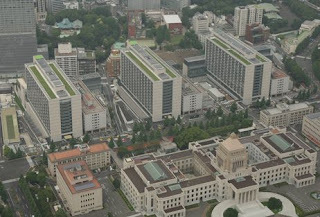 Japanese Parliment's computers infected by virus . This gave access to Hackers. They Steal Confidential Data belonging to 480 lawmakers and their staff, for over a month. As per the Report their servers are infected after a Trojan Horse was emailed to a a Lower House member in July. 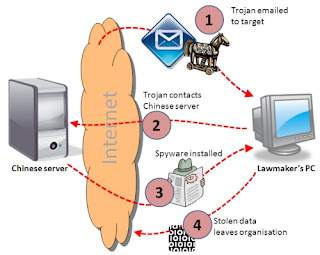 This Trojan Horse downloaded malware from Chinese based Server. This malware Spy on Email Communication and Steal confidential Data of Lawmakers and send to the attacker. Last month, Mistubishi(Japan's Biggest Defense Contractor) server compromised and confidential data stolen such as such as fighter jets, as well as nuclear power plant design and safety plans.